A writing instrument emerges from a fusion of the elements. Shown in Carbon, Wenge (wood), Blue & Black, other colours also available. 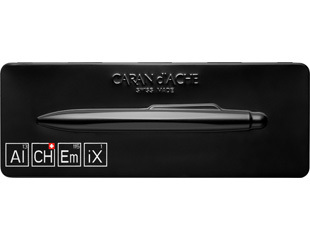 Includes the innovative packaging that reflects the personality of the writing instrument. Laser engraving on metal accents or imprinting on body included.